She had very little energy: “I came home and just didn’t feel like doing anything. I was tired all the time.” She also started to gain weight and no matter what she ate she always felt bloated. “I shared my problems with friends and they recommended Hepafar Forte. I’ve used Sensilab products before and had good experiences with them. Hepafar was very easy to take.” Victoria noticed results within a week! “My digestion improved within the first week of taking Hepafar”, she recalls. She felt that her energy levels were increasing: “I had more energy for my partner, family and friends and I even started doing sport again!” She noticed her favourite effect between the 1st and 2nd month. 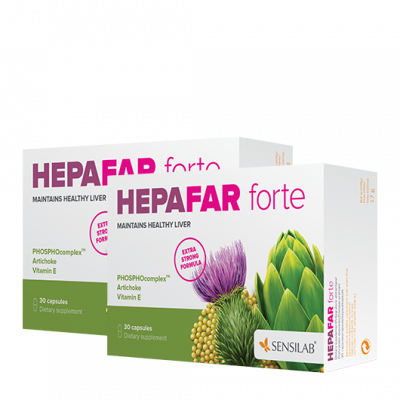 Hepafar Forte contains a patented form of milk thistle extract that is 10 times stronger than in similar products. 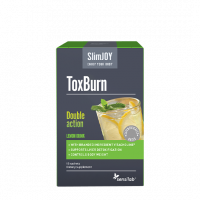 It detoxifies the liver, which is our most active organ and has over 500 functions! When it’s overwhelmed with toxins, you notice it in all areas of your life: skin, energy levels, feeling of fullness and weight gain. 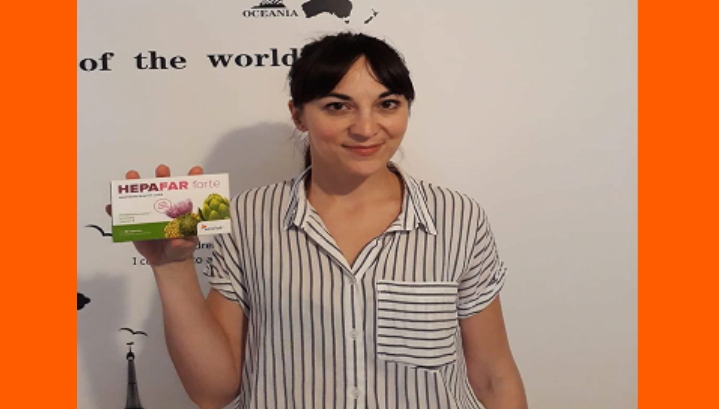 Hepafar also contains extracts of artichoke and black pepper, as well as vitamin E. It strengthens and protects the liver, helps with detoxification, promotes weight loss, improves digestion and increases energy levels.